Christmas has gone, and it is now time to make our new year resolutions and welcome the new year 2017 with open arms. Well, among other things you will keep in your mind to do at all costs in 2017, have you given any thoughts about your new year dental health resolution? If not yet, then you should better start making some because 2017 will be the year in which you must be at the top of your dental health table. How will you do that and what are the things that should be a part of your new year dental health resolution? Find out about these essential credentials of your dental health resolution from the expert opinion of the famous dentist in Los Angeles Dr. Shervin Louie. So, without further ado, let’s get ready and make a new year dental resolution for your good and that of your oral organs. The first way to ensure a good dental health is to curb the bad dietary habits. What we mean by this is to restrict or eliminate the intake of those foods which can cause problems, not only for your oral but bodily health as well. Foods that contain too much sugar, oil, or such foods like meat (mutton) and hard soda beverages; all are injurious to your bodily and dental health. So, you should make a concrete plan to change or revert your diet into something based more on natural sources. Lots of intake of fresh fruits and vegetables like celery, onions, kiwis, cheese, peaches, and liquids like green tea and water will do good. Following this basic good-dental-health pattern shall keep you away from all kinds of the dental/oral problem at best in 2017 and beyond. Another very important aspect in the new year on which you need to work, if you are already involved in it, is the elimination of bad habits. What do you understand by this? Off course, our focus is limited only to what harmful substance you consume which destroys your overall health, not physical. However, if you do get rid of bad physical habits then it’s a plus point. Anyways, habits like smoking or excessive alcohol consumption can destroy your dental health. Plus, there is a whole lot of other harmful repercussions to the overall body (e. g. lung cancer). Therefore, the resolution to quit smoking, and quitting alcohol consumption as well, must need to be a part of your new year dental health resolution on all costs. Like smoking, alcohol consumption brings a lot of cancer-making conditions to your oral organs and that of your liver primarily. 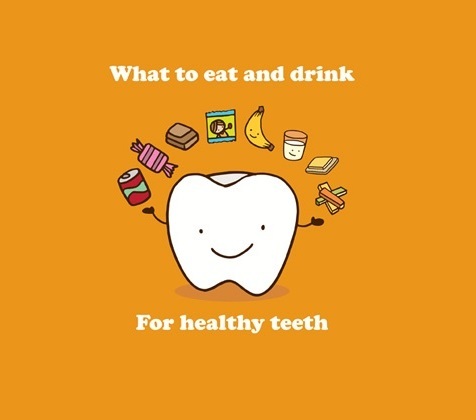 Therefore, avoiding both of these harmful things and cutting off their habit will not only improve your dental condition but prolong the life as well. Do you know that a majority of the people in the States does not even visit a dentist once in a year, let alone four time, which is a minimum recommendation by expert dentists? If you are among those, make sure you avoid this habit of discarding your dentist visit in 2017. Going to a dentist is only well and good for your sake because this will help to let you know the early signs of any oncoming oral/dental disease that can give you a lot of trouble later on. Plus, going to a dentist is beneficial as well for deep cleaning and sanitizing of your dental organs which will make them look whiter and improve their overall condition. “Visiting your dentist twice in six months ensures that you are safe from any serious dental ailment, quietly developing in your mouth without you noticing it,” says Dr. Shervin Louie, the renowned dentist in Los Angeles. Therefore, make sure you go to your dentist willingly before the circumstances force you to go unwillingly. So, these were just some of the main new year dental health resolutions which we wanted to share with you, for your own good and betterment. Following them shall keep your costs down from at least one aspect of your health, which is the dental aspect. 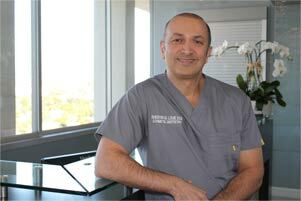 From Dr. Shervin Louie and team of smile in LA, we wish you a very happy new year!